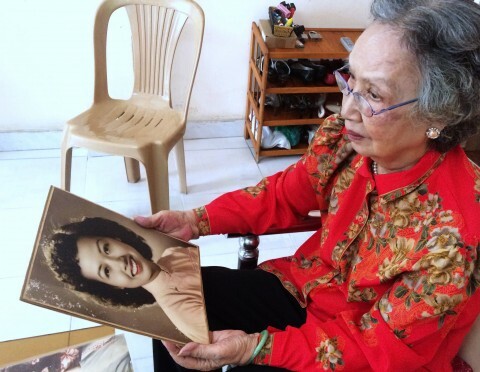 Earlier this month we had learned that the infamous Vietnam War Communist Propagandist Trịnh Thị Ngọ better known to former American GI's as "Hanoi Hannah" had passed away in the former Saigon at the age of 87. There has been much said among many American Veterans who many found her choices in music and outrageous exaggerations of the Communist efforts to be entertaining and infuriating. Her broadcasts were largely heard in what was formally known as I-Corps and largely heard by the US Marines who fought in Quang Tri Province along the former DMZ that separated the north from the Republic of Vietnam. It has been said by those who do not harbor hard feelings that she did her job to incite mistrust through her Communist propaganda. As the son of a Vietnam Veteran I have little sympathy for her. She is said she believed in the NVA written statements she broadcast. It is not believed that anyone deserted by her broadcasts but it has been said that many Marines would often toast beer cans when she would mention their exact unit names as being destroyed or captured. Her broadcasts ran for 8 years and ended at the end of the American Withdrawal from Vietnam. She died on October 2nd 2016 at the age of 87. 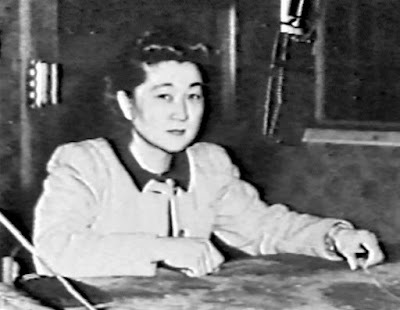 Moving back a bit earlier, we at American Mishima had set out to write about American & Japanese interaction and in doing so we are able to tie this article to a better known Japanese Propagandist named Iva Toguri better known as "Tokyo Rose." Often we hear comparisons of Hanoi Hannah to Tokyo Rose but here in lies the difference. Where as Trịnh Thị Ngọ was an unapologetic die hard Communist who believed in what she was doing, Ms. Toguri was in an entirely different situation. 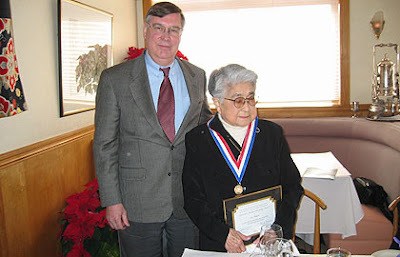 You see Ms. Toguri was an American born Nisei from Los Angeles who in 1941 left for Japan to visit an ailing relative. 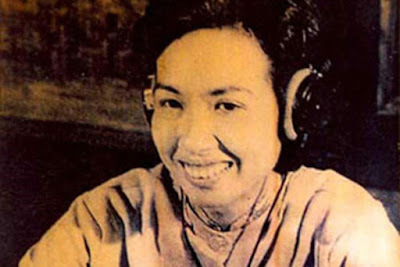 Once war broke out she was pressured by the military government of Hideki Tojo to renounce her American Citizenship and participate in broadcasts denouncing the United States. She refused their demands and subsequently was denied a ration card for food. By 1943 she was forced to broadcast the "Zero Hour" show where she called herself "Orphan Annie" often referring to her "fellow Orphans" aka Americans. She along with captured Americans who smuggled her food made these broadcasts but never denounced the United States. 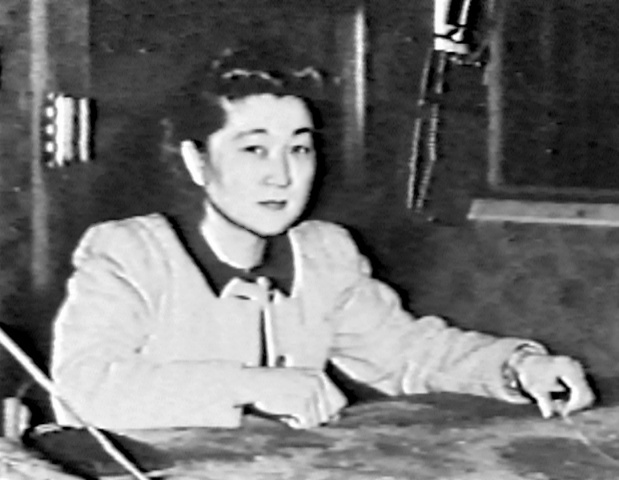 After the war Ms. Toguri was charged with 8 counts of treason based on some shaky prejudiced evidence. They convicted her on one count and she served 6 years of a ten year prison sentence. Talk about a raw deal! She was later granted a full pardon by President Gerald Ford in 1977. She ran a small grocery store in Chicago and died there in 2006 at the age of 90. By evidence, there is no real comparison between Trịnh Thị Ngọ and Iva Toguri. Some would say Ngo's broadcasts were a cheap imitation of Toguri but that would not accurate or even close. Both women had a job to do but their motivations were entirely different. While we do feel sympathetic to the indignities of Ms. Toguri, In regards to Ms. Ngo I would best quote my late father in who once spoke of his Vietnam experience as leaving him feeling nothing. The war is long over and hard feelings do subside over time. Perhaps in time, so will ours. All we can wish for these two ladies is that "May they both have found peace."